Muhammed Ahmad was formerly known as Max Stanford. In 1963, young activists led by Max Stanford (Muhammad Ahmad)—a close associate of Malcolm X and Queen Mother Audley Moore —created the Revolutionary Action Movement . A semi-clandestine organization and paramilitary wing of the Organization of Afro-American Unity, the RAM articulated a revolutionary program for African Americans that fused Black nationalism with Marxism-Leninism. Its goal was to develop revolutionary cadre in the northern cities and connect with more militant students in the south involved with the Student Non-violent Coordinating Committee and the Congress of Racial Equality . RAM supported the movement by SNCC and others for armed self-defense for southern Blacks terrorized by the Ku Klux Klan—the extra-legal army "enforcing the racist Jim Crow segregation system". RAM also provided security for Malcolm X after his break from the Nation of Islam and members of RAM actively participated in the Organization of Afro-American Unity. RAM had an extremely active branch in Detroit, which had become a center of revolutionary activism. During the 1967 Detroit Rebellion, RAM formed the Black Guards, a youth group that hoped to channel the spontaneous rebellion into coordinated revolutionary action. Despite their limited success in this regard, RAM was one of the first groups that not only recognized the legitimacy of urban rebellions, but also aimed to formulate a concrete plan of action around those rebellions. RAM became one of the first casualties of the FBI’s Counter-Intelligence Program (COINTELPRO) . Max Stanford and other RAM leaders were charged with plotting to assassinate mainstream political leaders Roy Wilkins and Whitney Young. At this point, Stanford dissolved the formal structure of the organization. As individuals, many RAM members gained influence in groups like the League of Revolutionary Black Workers. Muhammad Ahmad, contributed to Unity, November 16 1987, the newspaper of the League of Revolutionary Struggle. 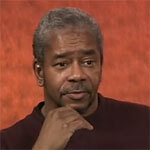 In the mid 1990s Muhammed Ahmad servedon the Board of Directors of Oakland based Institute for Social and Economic Studies- sponsor of CrossRoads magazine, which sought to promote dialogue and building new alliances among progressives and leftists... and to bring diverse Marxist and socialist traditions to bear while exploring new strategies and directions for the progressive political movements. Ahmad was also a CrossRoads contributing editor. In 1992 ,Muhammad Ahmad, Institute for African American Studies, East Cleveland Ohio endorsed the Committees of Correspondence national conference Conference on Perspectives for Democracy and Socialism in the 90s held at Berkeley California July 17-19. As of Spring 1993, the National Committee for Independent Political Action Steering Committee included Muhammad Ahmad . In March 1998 “Endorsers of the Call” to found a Black Radical Congress included, Muhammed Ahmad, Instructor of African-American History & Political Science, Cuyahoga Community College, Cleveland. In 2008 Muhammad Ahmad, Assistant Professor, Temple University, Philadelphia, PA signed a statement circulated by the Partisan Defense Committee calling for the release of convicted “cop-killer” Mumia Abu-Jamal. This page was last modified on 11 August 2016, at 02:01.